Wierzymy, że jakość i innowacyjność sprzętu wraz z profesjonalną obsługą klienta może pomóc kazdemu doświadczyć lepszego dostepu do internetu. Peplink’s patented SpeedFusion technology powers enterprise VPNs that tap into the bandwidth of up to 13 low-cost cable, DSL, 3G/4G/LTE, and other links connected anywhere on your corporate or institutional WAN. Bad Reception? We understand the importance of staying connected wherever you are. Whether you’re zooming around town or stationed in the middle of nowhere, roaming from network to network should not equate to downtime and more downtime. Got a busy hotel, campus, or restaurant? Give visitors a customized, branded Internet experience with captive portals. Simply modify the AP Controller’s built-in captive portal with your logo, terms and conditions, and other information. Every Peplink design is rigorously tested to exceed your expectations for speed, reliability, durability, and ease-of-use. We invest heavily in quality assurance and user experience testing to give you affordable, enterprise-class gear that just works, from the moment you take it out of the box. To ensure quality, our designs are built, programmed, and tested in-house. Come with us for a tour of Peplink’s stress-testing facilities and learn more about the arduous journey product prototypes go through before they graduate from the labs. 10 racks, 200 Peplink devices, and 1000 virtual machines put our software to the test nonstop, 24×7. Every new firmware version gets standalone tests, as well as stability and compatibility tests against numerous third-party devices. This facility has a nickname: The Abyss of Perpetual Testing. Our Highly Accelerated Life Test (HALT) software suite was written in-house to perform custom stress tests and record the results. Typically, each device goes through 100,000 repetitions per test, far beyond the expected usage throughout the product’s lifetime. (Right) A Pepwave MAX HD2 mini being pushed with maximum throughput for months on end. 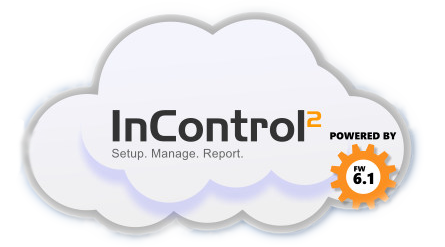 InControl 2 is our cloud based device management, monitoring, and reporting tool designed specifically for Peplink and Pepwave devices. InControl 2 provides full fleet management when used in combination with our vehicle-mounted, GPS–enabled devices, such as the MAX HD2 and BR1. Track your devices wherever they are using our interactive maps. 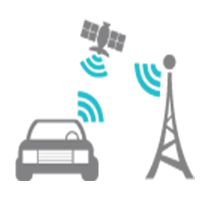 Check vehicle speed, cellular coverage, and traffic conditions. Play back route histories in real-time. Centralized SpeedFusion Management InControl 2 supports SpeedFusion VPN configuration and management. Just create a SpeedFusion profile and apply it to all devices in a group. InControl 2 then automatically configures SpeedFusion VPN settings on all devices, giving you a centrally managed SpeedFusion deployment in minutes.